Google recently introduced video previews on mobile search results. If you do not like the feature, you can easily opt out. 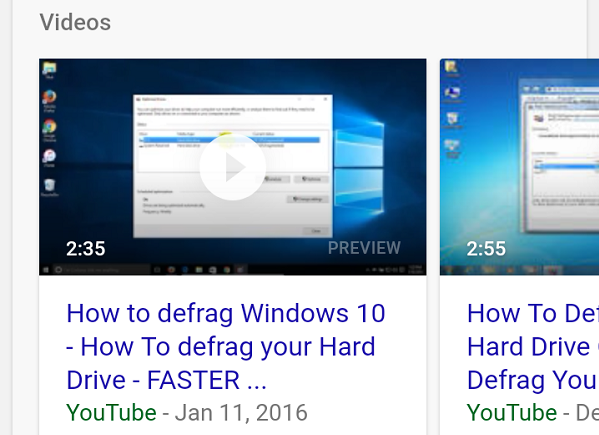 Just like video previews on YouTube’s desktop mode, Google recently rolled out video previews on search results for Android users. From now on, if you perform a search on Google Chrome or Google app, there will be six-second video previews on the video carousel. This is how the video previews look. For some, it may help to provide a gist of what the entire video is about and reduce clickbait, but for others, it may prove to be annoying. On Google Chrome, go to Search settings by tapping the hamburger menu on results page > Settings or tapping Settings on the bottom of the page. You can also go directly there. Select Do not autoplay radio button under Video and then Save. On Google app, tap the hamburger menu and select Settings. Tap Video and toggle off the Autoplay. Go to Search settings > Do not autoplay. Tap Save. Google app just allows you to turn off or on the previews, but on Google Chrome, there are other options as well such as whether to autoplay previews on both Wi-Fi and mobile networks or Wi-Fi only. Go to Settings > Video > Toggle off Autoplay. If you change your mind later, you go back there and enable them easily with a tap.